On theatrical feature films, he was the Co-Producer of three Woody Allen pictures: Deconstructing Harry, Celebrity, and Sweet and Lowdown and of Emir Kusturica’s Arizona Dream. He produced Robert M. Young’s Caught and Joe Vasquez’ Hangin’ with the Homeboys. He was the unit production manager of Mike Nichol’s Silkwood and Robert Benton’s Places in the Heart, and was the Assistant UPM/Location Manager of Milos Forman’s Ragtime. Brick also served as production manager of John Lowenthal’s theatrical feature The Trials of Alger Hiss, which won the Grand Prix at the 12th Annual Nyon Film Festival and On Paul Ronder’s Part of the Family, winner of the Prix George Sadoul, a feature documentary made for PBS and released theatrically in Europe. In television, Richard Brick was senior producer of a two-hour HD special, Peter Jennings Reporting – UFOs: Seeing is Believing broadcast by ABC in 2005 and in 2003, he was senior producer of another two-hour special for ABC, Peter Jennings Reporting – The JFK Assassination: Beyond Conspiracy. Producer, Associate Director, of The Age of Aerospace, two ninety-minute specials produced by the Documentary Group, 2012-14, to mark the centenary of Boeing. Brick was also the producer of Rounds, a one-hour cinéma vérité documentary shot at the Icahn School of Medicine at Mt. Sinai Hospital with director Muffie Meyer. On Peter Gimbel’s syndicated television feature documentary, Andrea Doria: the Final Chapter, he was associate producer and production manager. He served as production manager on Waris Hussein’s Little Gloria…Happy At Last, television mini-series and as production manager of Michael Roemer’s Pilgrim…Farewell, a dramatic feature for PBS. Brick was the production manager of Westinghouse Broadcasting’s bicentennial television series Six American Families, winner of a Gabriel and DuPont/Columbia Awards. Brick produced and directed Last Stand Farmer, winner of the John Grierson and Blue Ribbon Awards at the 1976 American Film Festival. Brick had a highly successful tenure as the first Commissioner of the New York City Mayor’s Office of Film, Theatre and Broadcasting, 1992-94. Generally credited with key role in reversing post-boycott perception of New York as not production friendly. Increased shooting days in New York City by 71%. Relocated MOFTB to expanded offices in CBS’ newly renovated Ed Sullivan Theatre building, and represented the City in coordinating the City agencies’ role in the renovation of the landmark-designated Ed Sullivan Theatre into a high-tech studio for The Dave Letterman Show. Arranged the “Dave to Dave” telephone call in which Mayor David Dinkins urged David Letterman to remain in New York. Closed Times Square for 10 nights for Columbia’s “Last Action Hero.” Major production assistance to “Crooklyn”, “The Cowboy Way”, “Carlito’s Way”, “The Paper”, “Six Degrees of Separation”, “Fresh”, “It Could Happen to You.” Promoted the “new” New York at the Cannes, Sundance, Berlin, and Jerusalem Film Festivals. Took Mayor David Dinkins to Warners Brothers to meet with Terry Semel and Robert Daly, and to Universal Studios to meet with Lew Wasserman in Los Angeles, a first for a New York Mayor. He was Chairman of the graduate film program at Columbia University, 1988 and 1989, from which he received his M.F.A., and where he continues as an Adjunct Professor in the producing program. 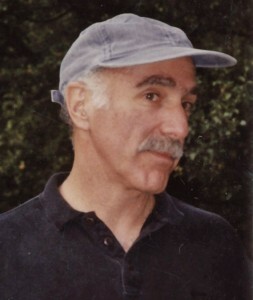 As chairman, Brick Hired Sidney Lumet, Brian DePalma, David Mamet, Emir Kusturica, Frank Perry, Lazlo Benedek, Ralph Rosenblum, Frank Perry and Ira Deutchman to teach full semester courses, doubled the number of foreign students and established the annual Columbia University Film Festival of students’ films in 1987, now in its third decade. He has also lectured at the Beijing Film Academy, Yale, NYU, Adelphi, NY State University at Purchase and at the City University of New York. In 2012 he endowed the Richard Brick Producing Prize at Columbia. Brick has in active development: Barbara Ehrenreich’s best-seller Nickel and Dimed: On Not Getting by in America, with Ira Deutchman; James Salter’s novel about mountain climbing, Solo Faces, with Mark Obenhaus; and Fire on the Beach, the true story of the Pea Island (North Carolina) heroic Afro-American lifesaving crew in the 1880s, with Kenneth Murphy. Brick is also Executive Producer of Shadow 19, an original science-fiction feature written by Jon Spaihts in development by Joel Silver at Warner Brothers. Brick is a member of the Producers Guild of America and the Directors Guild of America, where he serves on of the Eastern Assistant Directors/Unit Production Managers Council, 2006-09 and 2011 – 2015, as the Council’s First Vice-Chair 2004-09 and 2013-15, as a Delegate to the National Conventions in 2003, 2005, 2007, 2009, 2011, and 2013 (elected but unable to attend), is a member of the PAC Leadership Council since 2005, and a member of the National Negotiating Committee in 2010-11 and 2013-14. He served on the board of directors of the Independent Feature Project, 1985-2001, and as Chairman, 1995-97. In 1985 he founded and continues to Chair the Advisory Board of the Geri Ashur Screenwriting Award, a $10,000 biennial award administered by the New York Foundation for the Arts. Brick was an official guest at Emir Kusturica’s 2010 Kustendorf Film Festival in Serbia and returned as a Juror at Kustendorf in 2011. In 2012, he will serve as the President of the Jury at the Targowa Street Film and Music Festival, The Leon Schiller Higher School of Film, Television and Theatre, in Lodz, Poland. Brick received an American Film Institute Independent Filmmaker Grant in 1977; a Vermont Council on the Arts’ Grant-in-Aid in 1974, and the Vermont Council on the Humanities and Public Issues’ Regrant from the National Endowment for the Humanities in 1974. His awards include a shared 2004 Radio-Television News Directors Edward R. Murrow Award and a shared British Broadcasting Press Guild Television Award: Best Single Documentary, 2003, for The Kennedy Assassination; Best Feature nomination from the Independent Spirit Awards as sole producer of Hangin’ with the Homeboys in 1991; the 1993 Motion Picture Bookers Club Award; the Directors Guild of America Best Picture nomination as UPM for Places in the Heart in 1984; the John Grierson Award for Social Documentary and the Blue Ribbon from the 1976 American Film Festival, and the 1975 Gold Ducat of the Mannheim Internationale Filmwoche, all for Last Stand Farmer. Brick was married to Geraldine “Geri” Ashur from 1979-1984, and together they had a son, Noah Ashur Brick. He lives in New York City and northern Vermont and since 1989 has been married to Sara Bershtel, publisher of Metropolitan Books at Henry Holt and Company.